In his newest release, popular author Charles Colson provides practical help for Christians in understanding difficult issues on which their faith collides with the surrounding culture. Burden of Truth covers topics such as medical ethics, education, crime, science, pop culture, family, art, and government. 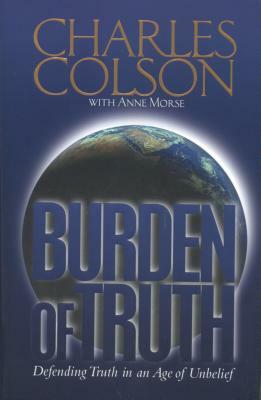 In Burden of Truth Colson spurs Christians on in confronting the deception of the world with the truth of God's Word.